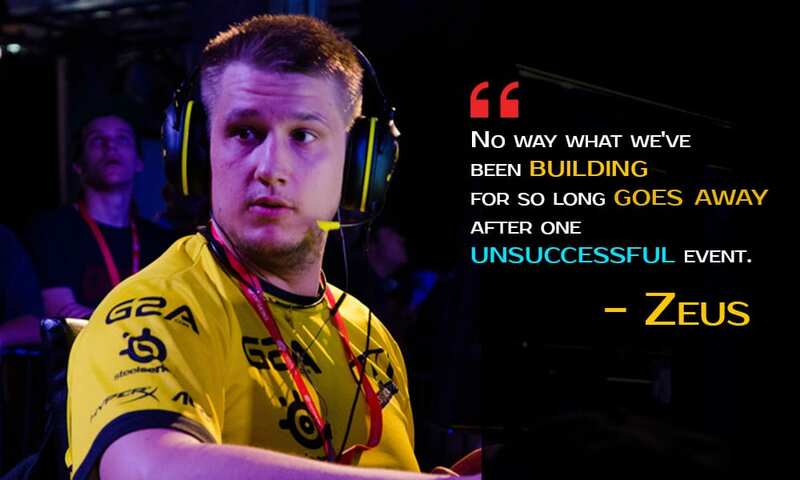 After unexpectedly losing to Team Liquid 2-1 on getting knocked out of the tournament, Natus Vincere’s captain Daniil ‘Zeus’ Teslenko shared his sentiments on Twitter and assured that there is no roster change coming in even after being defeated in quarter-finals. There will be no roster changes in our squad. No way what we've been building for so long goes away after one unsuccessful event. Zeus self-motivated himself, his team and the fans of their strength and making it pretty sure that they will not be rushing out to change rosters and blaming an individual for the loss. He instead, went ahead and prioritize the relations build among the players while cruising through and yet again making it to the legends of ESL One Cologne 2016.